They say the third Monday of January is supposed to be the most depressing day of the year. Monday’s are not the best day of the week anyway, but this one falls on a day when the joy of Christmas and New Year is well and truly over. The boxing day sales are a distant memory; the last of the turkey has been gobbled up and suddenly the credit card bills hit like a huge Christmas hangover. With payday another week away, this day can hit some hard. There might be icicles on the end of your nose, but that doesn’t have to stop you dreaming of tropical beach locations. The Blue Hawaii will transport you to the most colourful island in the world, with its irresistible combination of vodka, rum, pineapple juice, sour mix and blue curacao. This might refer to you, your significant other, or just some lady you bumped into on the streets. Either way, it seems like the perfect excuse to sip on this concoction. Made up of lemon juice, gin and blue curacao, this cocktail is bitter enough for the both of you! When you are feeling glum, you should drink some rum! 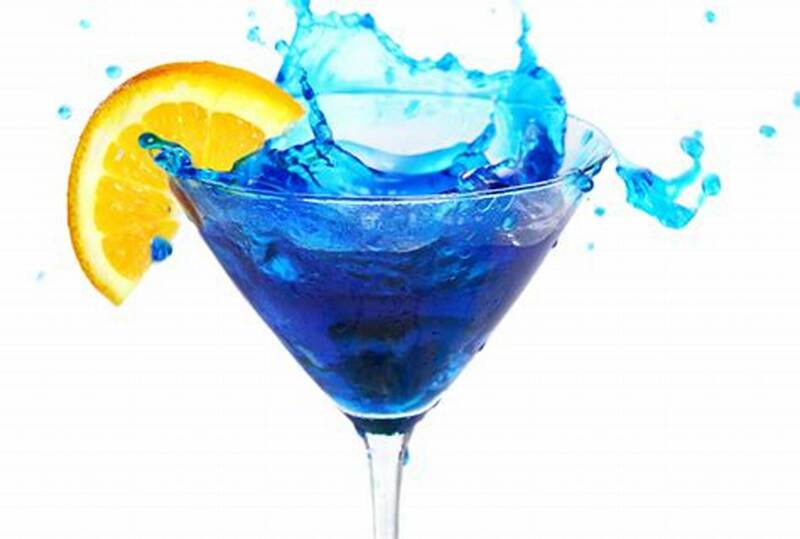 The Blue Booty has plenty of it, with Malibu, dark rum and white rum, beautifully finished off with various fruit juices and that faithful blue curacao for its bubblegum colour. Just looking at the bright cocktail is sure to lift your mood! This jewel-coloured cocktail is certain to perk you up, with its mouth-watering, super-sweet citrus flavor. Vodka and blue curacao are combined with cranberry juice, lime juice and plenty of sugar, making it the perfect way to add positive vibes to Blue Monday. A classic drink that is the perfect go-to when you need something blue. Popular in cheap bars and at all-inclusive holiday drinks, the pre-mix version is nowhere near as good as the real thing. So forget whatever you think you know about this cocktail and make it how it should be, with vodka, blue curacao and lemonade, and feel your troubles melt away! There’s no need to feel blue in January – it’s the start of a new year and there is still so much to look forward to! So take a moment to enjoy one of these blue cocktails and make this the reason for Blue Monday instead!